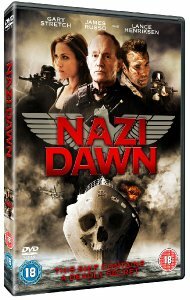 A dark and ghostly wartime secret is about to be uncovered when a battle between good and evil breaks out aboard a WWII-era battleship in Nazi Dawn, set for release through Revolver Entertainment on August 30th 2010. When the SS Lane Victory, reactivated and deployed in the Persian Gulf for black-op interrogations, falls radio silent, an elite Marine task force are sent to apprehend the terrorists. Led by Col. John Willets (Lance Henriksen), the team find one survivor, John's son Colin (Gary Stretch).